The Jabra Evolve 65 is a professional cordless headset with dual connectivity that easily allows you to answer calls on your PC with a softphone or your mobile device, without having to re-associate between devices. 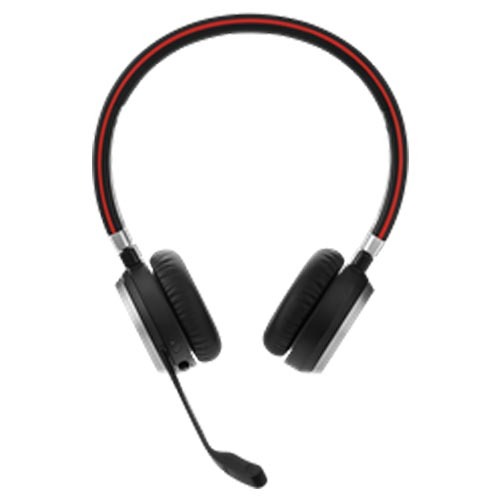 It is the ideal headset for office workers that require flexible connectivity options, while enjoying high quality audio. The Evolve 65 features Bluetooth technology to enable extended talk times (up to 10 hours), an excellent range of up to 30 metres and uses passive noise cancellation to minimise background noise, allowing you to focus on the task at hand.